The quintet : Evans (trumpet), Carlos Homs (piano), Tom Blancarte (bass), Jim Black (drums), Sam Pluta doing live processing. What they do with the music is like going on a roller-coaster as you're tossed up in the air, whizzed around corners, spinning down and around. The quintet mixes bop and electronics in a compelling way, reminding me of the direction John Zorn took with his zapping music. 'One to Ninety-Two' is a post bop type melody but with subtle use of electronics and a rhythm section that stops and starts, speeds up and slows down, it's almost like a be-bop Captain Beefheart ... and that's just the first track. '323' (Tk 2) hits you right between the eyes, flying off into a free form improvisation that gradually reassembles itself only after visiting several different rhythmical sections, here the music is relentless. Carlos Homs plays excellent piano keeping a fine balance between post bop and the avante-garde by mixing modern styles in a way that Matthew Shipp or Craig Taborn do. Jim Black is also in great form, maybe his most interesting drumming since the Tiny Bell Trio. 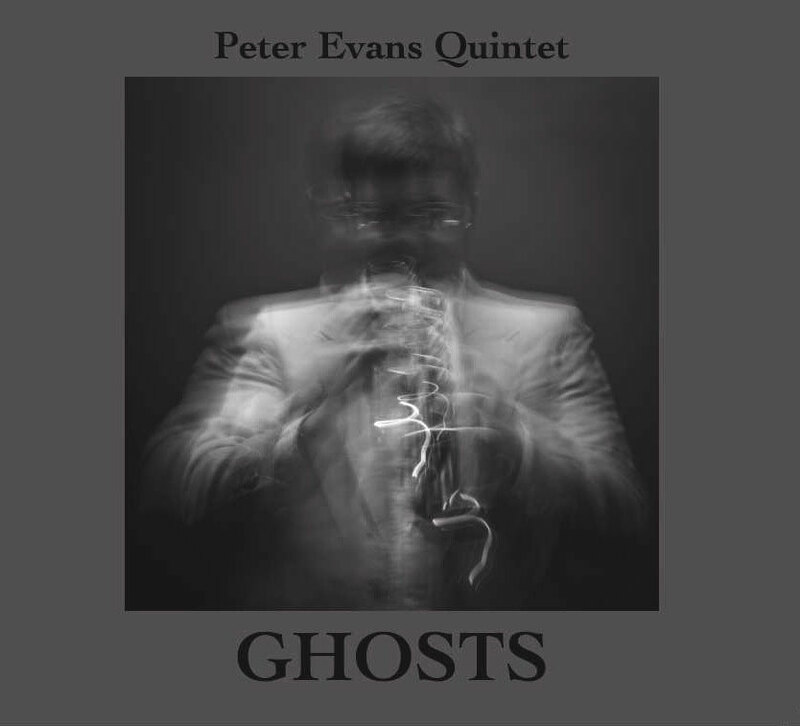 Sam Pluta takes the music, in particular Evans trumpet, and sends it back to us the listener in many guises. In fact sometimes it takes you a second to realise what you're actually hearing. Blancarte holds the whole thing together, probably more than we actually notice. There are a few stopping places on the journey though, Ghost (Tk 3) being the first - based on the standard 'I Don't Stand a Ghost of a Chance with You'. Here the music is calm and spacious with Evans trumpet spiralling away in all directions even though he stays close to the melody (never played). The music is often daring and always interesting. And 'that' is probably the winning point of the album, the music always stays melodic even in the wildest moments whilst remaining remarkably accessible. 'Articulation' (Tk 6) is like a conclusion at 14 mins, the sum of all the music heard, forever changing. This for me is where Wynton Marsalis could of gone with his classic 4tet, but never did. You could write much more about this CD as the music manages to subtly integrate many styles and which has endless details to discover also. An excellent album with no weak moments and I suspect one that will be high on 'best of' lists at the end of the year. 'Stardust' (the final track) is a nice way to leave the listener, don't you find? Weasel Walter in the CD reviewed here. This sounds like a must. Yes, it's an excellent album. Very forward thinking, yet in the tradition. yes, this is a great album but this review is incredible in how poorly written it is. Indeed, I was a bit too hasty in sending it off. A little like the exam paper that you realise (too late) where the mistakes are. I'm glad you liked the album at least. I picked this up on Itunes, and have given it a good listen. I think the review is right on, the mix of tempos and the movement between more traditional post-bop and freer jazz work really well. I had been slightly hesitant because of the "live-processing", but here it doesn't distract. But I also have to say I don't really hear what it adds either. If this website had a place for general discussions, I'd love to talk about what live-processing and computer effects add to jazz, what are the best examples, etc. I suspect that the processing is done so subtly that you don't notice it so much .. ex: re-listen again to 'ghost' and see when it's a trumpet and when it's the computer sending the trumpet back at you. I really enjoyed the use of sampling within this context and unfortunately you won't get a chance to hear the same CD without the sampling, which would of course answer your question 100%. Glad you enjoyed the music also.